1. 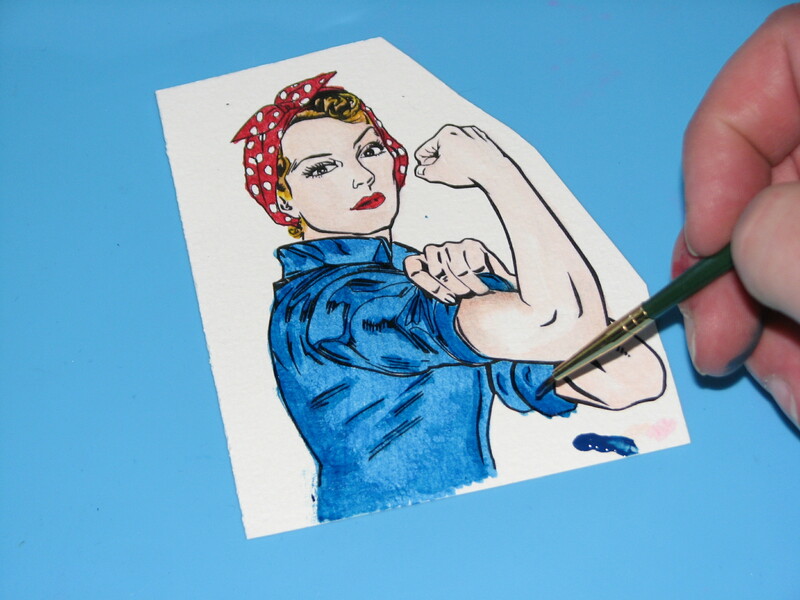 Print the digital image on watercolor paper and let it dry completely. 2. Use desired colors of Memento Dual Tip Markers to color the shirt, hair and hat. Danube Blue, Rhubarb Stalk, Peanut Brittle and Dandelion were used for this image. 3. Scribble a bit of Apricot Fabrico Marker onto the craft mat. 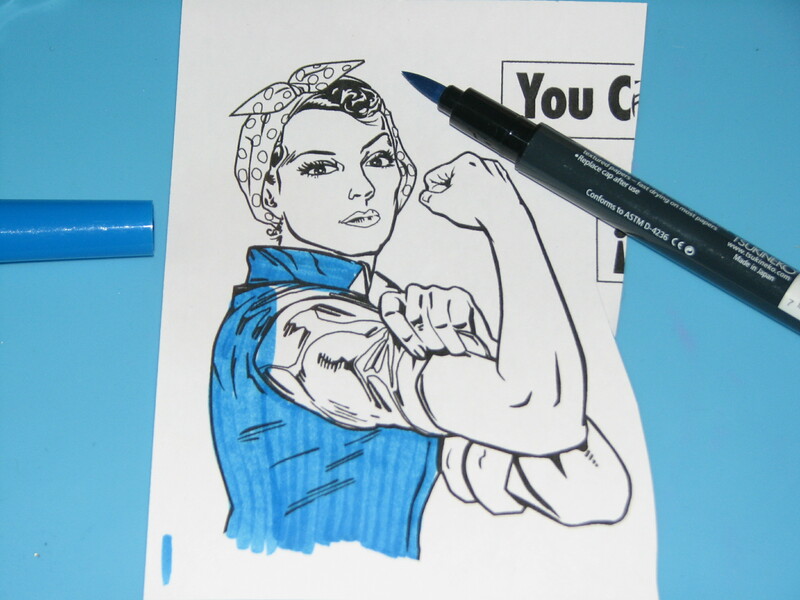 Use a Fantastix to pick up the ink and color the woman’s face and arms. 4. Use a bit of StazOn Studio Glaze to add contrast to the colored image. Midnight Blue was used to shade the shirt and Claret was used on the hat. White Wedding Dress irRESISTible Pico Embellisher was used to highlight the dots on the hat. Set aside to dry. 5. 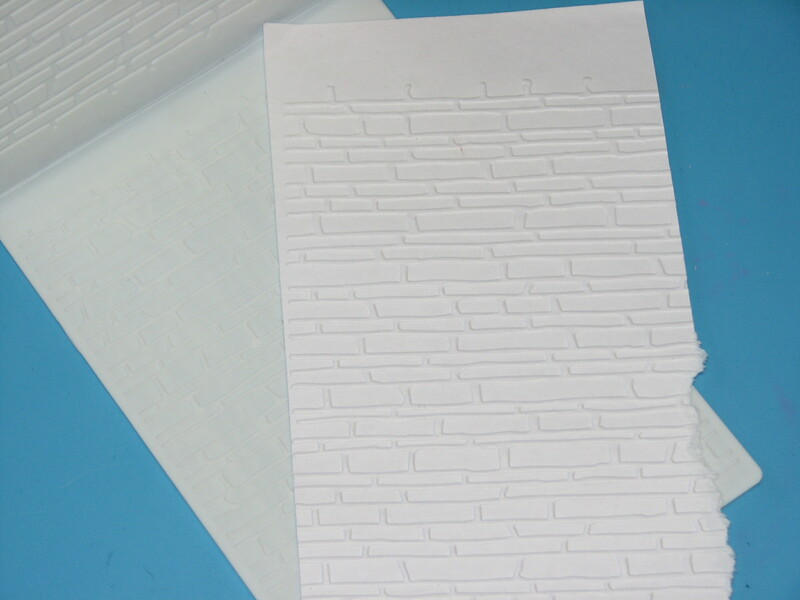 Emboss a piece of white cardstock with a “brick” embossing folder. 6. 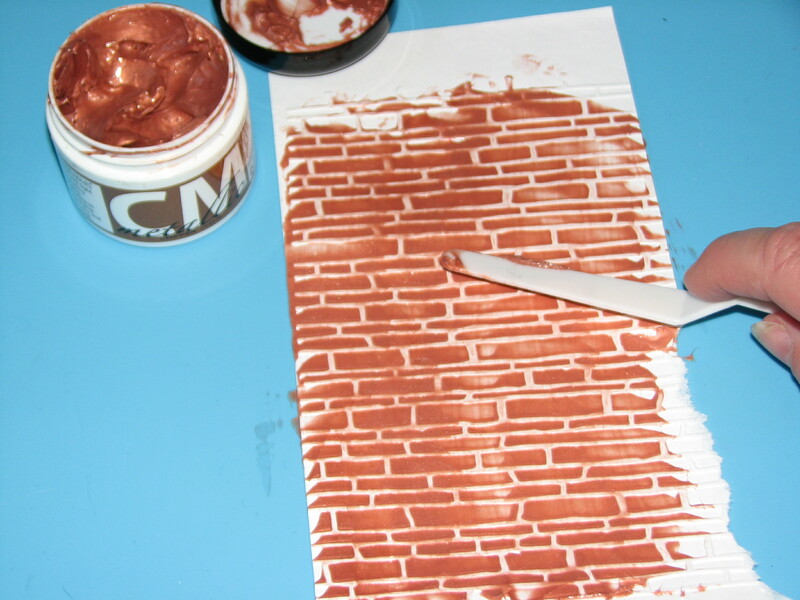 Spread Copper Creative Medium over the entire embossed panel using a Trowel Palette Knife and let dry. 7. Spritz the panel with Bronze irRESISTible Texture Medium and use an Ink Blusher to blend the texture medium into the panel. 8. 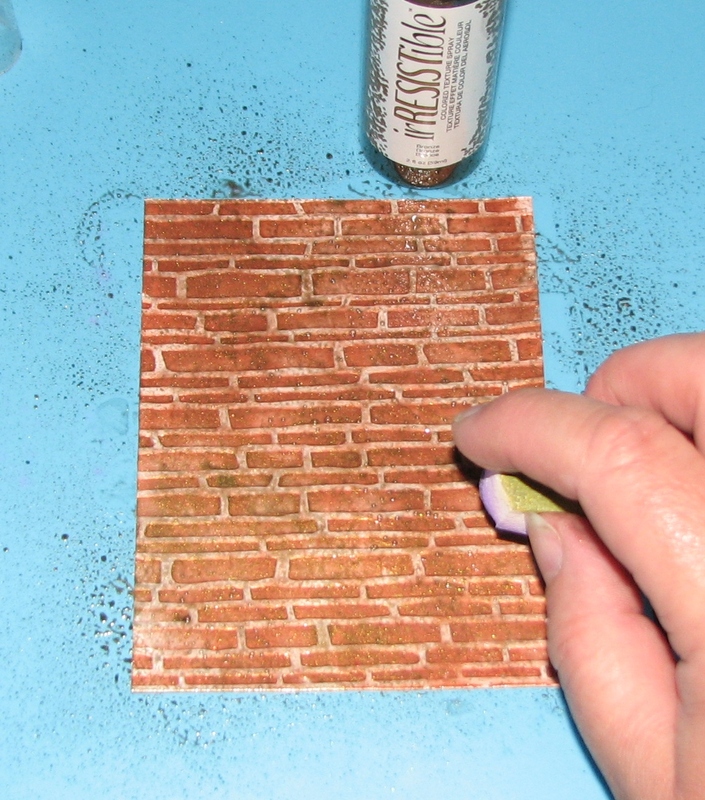 Mount the brick panel on a black mat and adhere to a white card base. 9. 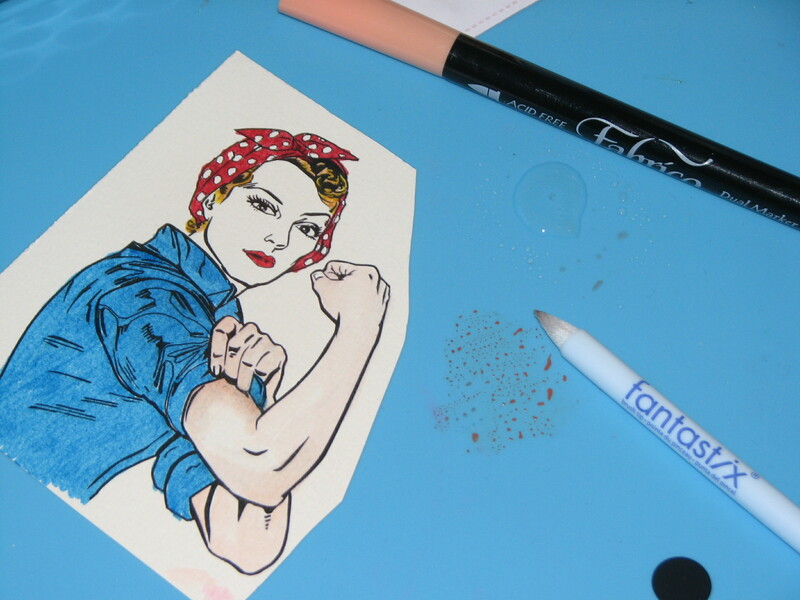 Trim excess paper from the main image, affix the image to the card and add the computer generated sentiment.